Translucent paper works great for sequential information in multi-page projects. 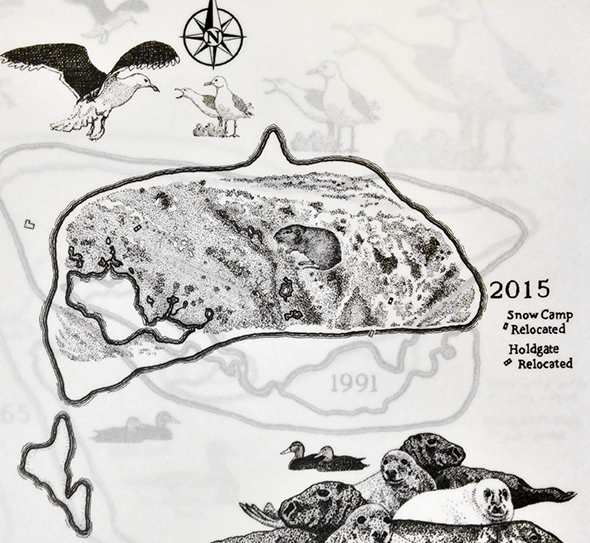 This book detail shows three maps, one over the next, illustrating changes on Muskeget island over the decades. Black digital printing on Neenah Ultra UV 24# text. 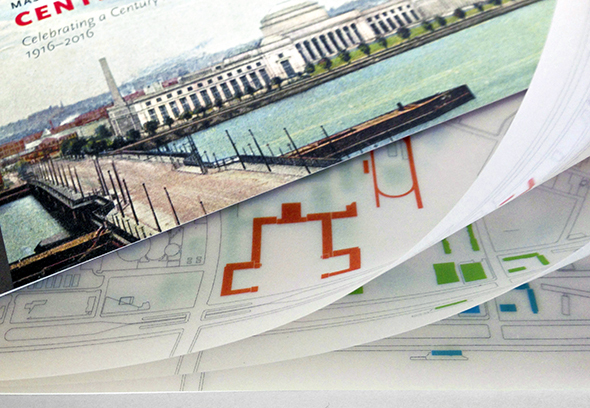 This photo shows the evolution of a college campus and is printed digitally on 65# Curious translucent cover. 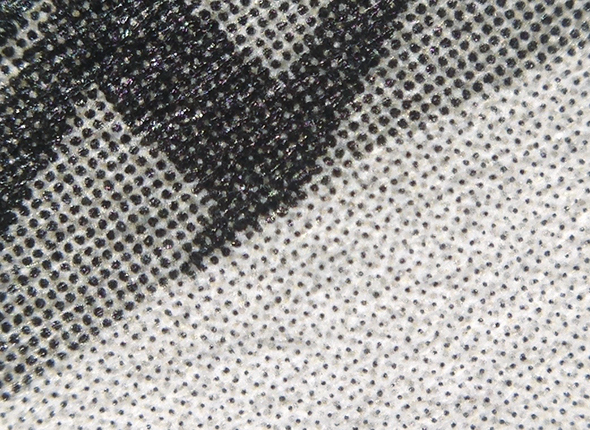 We are producing some great digital tritone books … below is a closeup of an image from a catalog for The Banks Gallery in Portsmouth, NH. The ink set is black, 405 and 466 and falls on the warm side of the spectrum. Here’s the original image; closeup is from upper right corner. 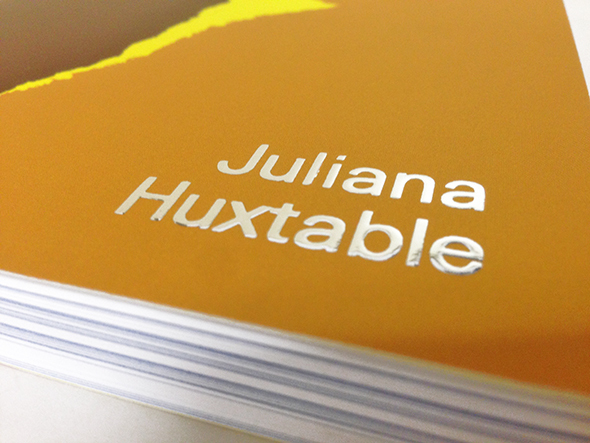 We just produced promotional books on the HP Indigo using tritones – black plus two Pantone colors. 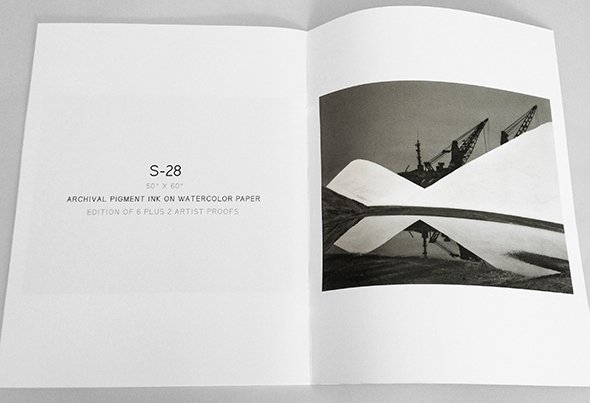 One version on coated stock and a companion piece on Superfine White, which complements the warm tones of the art. We took them out to the National Museum Publishing Seminar and they were a big hit. The colors are rich and consistent from image to image. 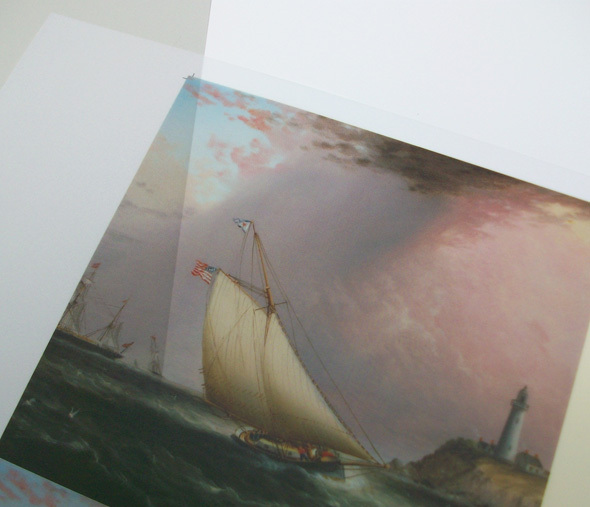 Consider Neenah Ultra II digital radiant white for your next book project. It works great for overlay pages or section dividers.